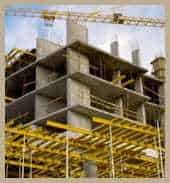 We represent owners, real estate developers, engineering firms, contractors, subcontractors, and others in Texas and throughout the United States who have a dispute over a new or existing construction project. Understanding industry specifications and common practices is key to litigating construction disputes. No detail is too small to overlook when evaluating the merits of a claim. This approach has brought us success in representing clients in these complex legal matters. We have handled high-profile construction law cases on the construction of a mixed-use development for apartments and retail space, and other cases involving real estate and construction law disputes, construction defects, contract disputes, liens, bonding, design defects, and quality issues. We have built our reputation on innovative and diligent litigation. In handling your case, we explore the best option to find the ideal resolution. Opposing law firms know that we are serious when we take on a construction law case for our clients. We do not shy away from the courtroom. Millions of dollars are on the line when a planned construction project is delayed by a dispute or lawsuit. For more information or to schedule an appointment regarding construction law litigation, please contact us.